Denise was wonderful to work with. She went way beyond the call of duty. The home was in contract in three days. We were out of state and our refrigerator broke down. She worked to clean it out and brought dinner to our home because she knew our food had spoiled. We would recommend her to our friends, family and colleagues. and understood my family's needs like Denise Bonhert. She understood that I needed to not be rushed in my search for a home. She went at my pace, knew my standards for what I wanted in a home (which are quite tricky), and stuck with our relationship through the roller coaster ride of a first-time homebuyer. Denise helped me to buy my dream first home, which I would have missed out on without Denise's insights." Denise Bohnert did a fantastic job in helping my son and daughter-in-law become first time homeowners. Her patience, knowledge, and enthusiasm were beyond reproach. 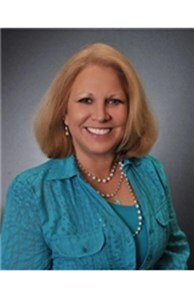 Denise persevered in showing them many properties in Worthington, Clintonville, and Upper Arlington. Denise also provided accurate appraisals and sound advice which enabled my son and daughter-in-law to make an excellent choice in selecting their first home. Treat all my clients with honesty, integrity and professionalism. To continue my education so that I can effectively help you through the buying or selling process with up to date information. I am the daughter of a retired Master Sargent who served in the United States Air Force for more than 26 years. I have traveled with my family to Europe where I lived for 5 years and throughout different parts of the United States. I landed in Indiana where I met my husband of 25 years and we moved to Gahanna with our 2 children 20 years ago. I stayed at home and raised my children throughout their education and all their activities. This taught me about what is important in life, that is why I chose to be a full realtor. To me, family is important. To have a happy and healthy family you must love where you live. I will work very hard to help you and your family with the most important decision you will make, buying or selling your home. If you are ready to buy or sell a home, call us. Your real estate transaction will be handled with the courtesy, respect and professionalism you deserve. Coldwell Banker King Thompson: As always. . . The Quality Choice. My community has always been very important to me. I have been involved with many organizations throughout the years, such as, the Boys Scouts, Girl Scouts, Twigs, and the PTA from elementary school to high school. I was involved with the Gahanna Lincoln Music Boosters and various fundraisers. I have taught self defense workshops and I am still involved with teaching a children's martial arts programs. These programs teach children how to become better citizens and students at school, as well as, giving them confidence in themselves and discipline to work hard.